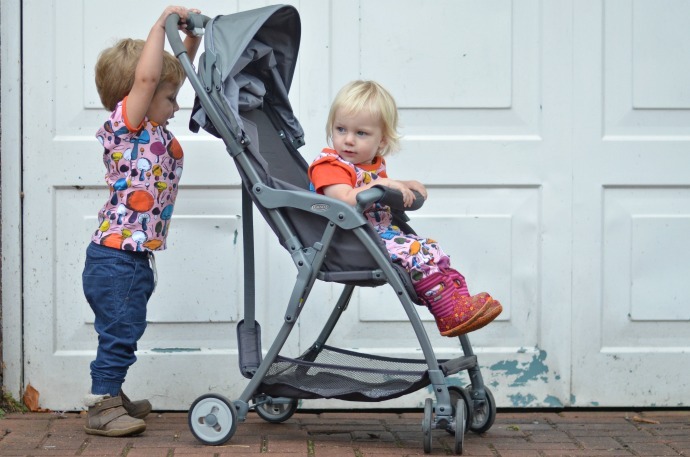 The Graco featherweight is the latest stroller from this innovative brand and is designed to be lightweight and practical for busy mums who are always on the go. 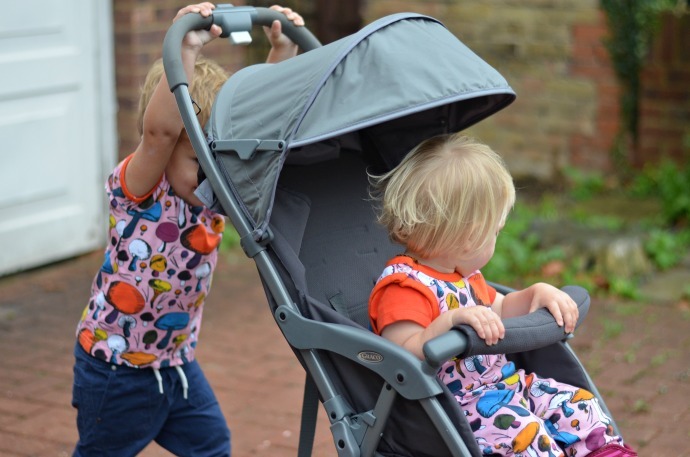 We have been putting it through its paces in the car, on public transport and most often on our walks. For the past two weeks, I have walked Dylan to school for 9am, taken Archie to school at 12:45 and picked Archie up at 3:15 followed by Dylan at 4:15. On two of those days, Finn has nursery from 12:30 until 3:30, making a total of six different drop offs or pick ups on a Wednesday. Graco did some research and discovered that new parents spend an average of nearly 8 hours a day on their feet and I think they are definitely right! In fact they sent me a fitbit to record my daily steps and more often than not I had completed 6,000 by lunchtime with my daily steps usually around 15,000. After the school runs I find myself walking to the park, chasing small tots around a soft play or walking around the house putting things back in their place, sweeping up mess and collecting washing. 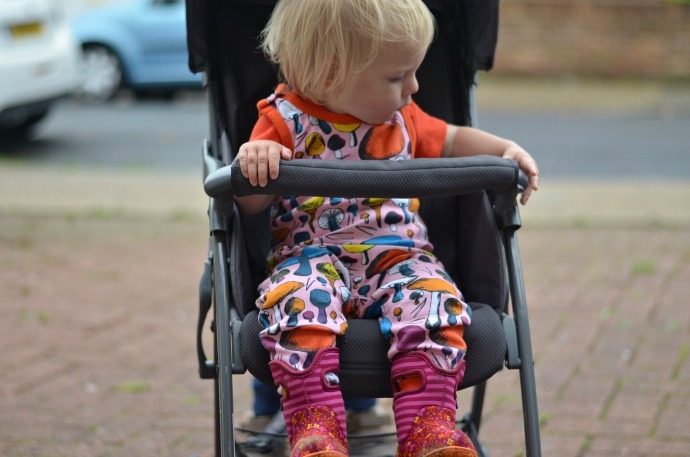 On an average day, parents can carry up to 6kg (easily if you have two in nappies) as well as the inevitable child on the hip or in the sling. I remember the days of carrying just a small handbag with the essentials in and it feels like a lifetime ago! The Graco featherlight has been a brilliant stroller to accompany me on my many miles I walk every week. It weighs less than Dylan did at birth (3.6kg) and can be folded and unfolded one handed. I have had other buggies that claim this but it always baffled me however this featherweight really is the easiest thing to fold and unfold. I made a little video to show you quite how simple it is. The easy fold means for parents like me that are on and off public transport, you can hold your child on one hip and fold the stroller with no problem. The featherweight still has a generous basket and can lie flat too with the simple release of a clip on the back. I did find that as a tall parent the handle was a little short for me and I would love it if Graco could make an extended handle, but I know that this would add to the weight of the stroller. 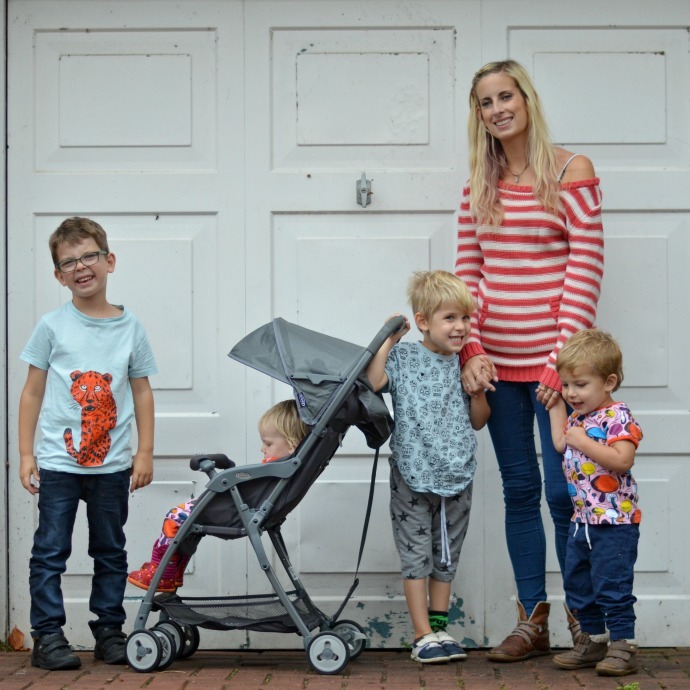 Life Coach Tanith Carey has been working with Graco on some tips for busy parents which include ditching bulky handbags and going for an easy backpack, wearing comfy shoes so you are always ready to chase a runaway toddler and making friends with your postman and local delivery driver so they know where to leave your parcels! and getting an app that tells you when the next bus is due! 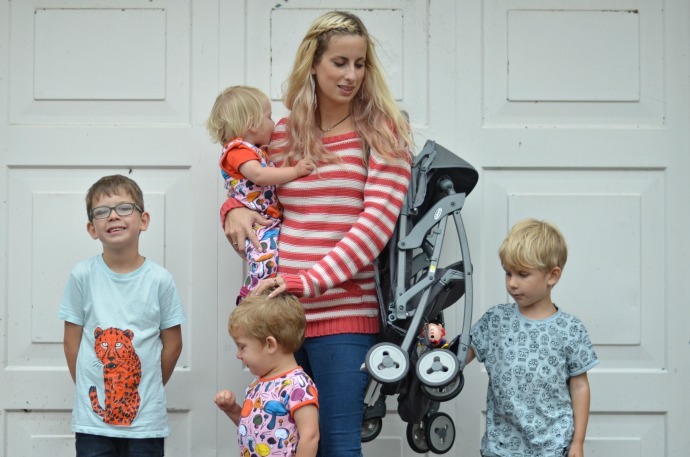 The Graco Featherweight is a perfect companion for busy parents who are overloaded with children and the 'stuff' that comes with them and don't need a heavy pushchair adding to their daily work out!